They’ll never make headlines, and yet, they are at the front line of despair….. Entangled in the Haitian social fabric far before the earthquake. 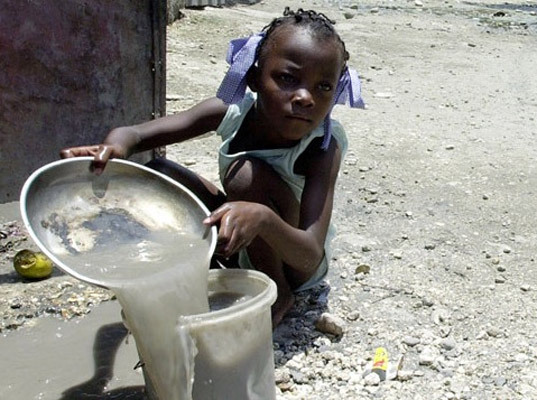 According to the UN, one out of ten Haitian Children are caught in the “restavek” system (child domestic slavery). Below any scrutiny, the practice grew at the same rate as the Haitian poverty-implacably fast. The poorest rely on the wealthy to raise their kids, often in exchange for monetary compensation. Unknown to the world, “restavek” violates the Haitian Constitution which pioneered abolition, making slavery illegal nearly sixty years before the United States. Yet, it’s an embarrassing reality of modern-day Haiti, tirelessly combatted by the Haitian Limyè Lavi Organization. Their mission is to end this inferno with very little help, and contend with lots of hurdles due to the complexity of the situation. On the surface, it appears like a foster home arrangement in which the child is enrolled in a school and is a part of the family. “In practice, this rarely happens: the child’s day is filled with chores, and even the youngest children are expected to fetch heavy buckets of water, hand-wash clothes, carry loads to and from the marketplace, and work in the fields– often working 14-hour days for no pay.” reports Free the Slaves, the Washington-based organization that relentlessly tracked slavery cases all around the world. Their concern- an estimated one million orphans who lost their families are at grave risk of ending up defenseless, bound and abused in the restavek system, or sold abroad.